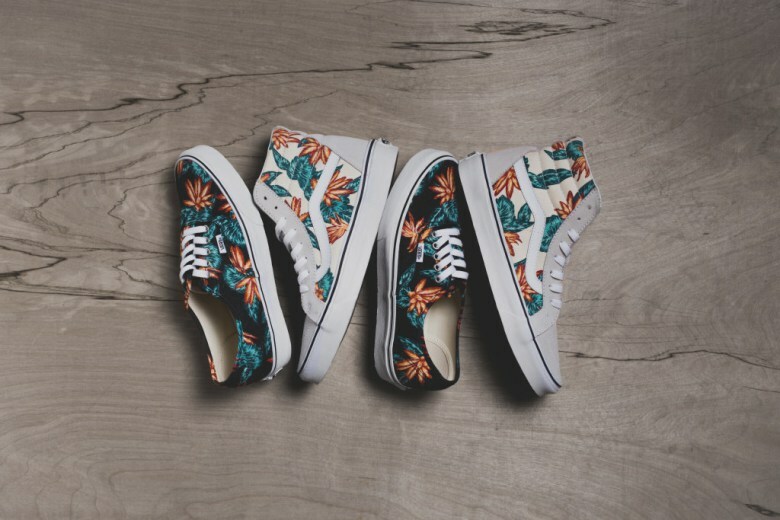 Vans latest additions to its expansive 2015 spring/summer footwear line is the “Vintage Aloha” pack. Two of the skate brand’s most revered shoe designs, the Authentic and Sk8 Hi flaunt canvas uppers, featuring a vibrant Hawaiian floral print alongside suede paneling. Retailing for $55 USD and $70 USD respectively, pick up your favorite pair from Feature Sneaker Boutique’s webstore.